Governments all round the world are facing problems with their public finances. At a time of austerity, how much should spending be cut and how much should taxes be raised? Does the national debt represent a burden for future generations? Should taxes on the rich be raised? 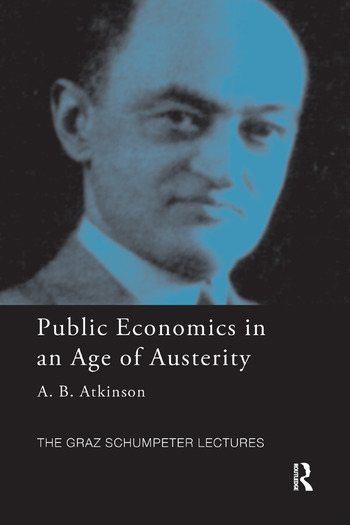 This book examines how the tools of public economics can be applied to answer such key questions and to suggest alternatives to the austerity policies currently being pursued. The fiscal problems faced are not simply the result of the post-2008 economic crisis but reflect a deep-seated fault line in modern economies. There has to be fiscal consolidation to provide for an ageing population, increased investment in education, and climate change. The book describes how public economics can help us think about alternative ways of meeting this challenge. It casts doubt on conventionally held views, such as those concerned with top tax rates, the undesirability of taxing capital income, the targeting of child benefits, and the merging of income tax and social security contributions. The final part goes beyond national boundaries and considers global public economics, focusing on the pressing problem of financing development. The conclusion of the book is that there are significant choices to be made. Not all austerity packages are the same: there are alternatives. It would be possible to raise taxes more and to cut spending less. It is important to consider the full range of possible policies. In considering these alternatives, modern public economics provides a useful framework, but it has major limitations. Economists are too often prisoners within the theoretical walls they have erected and fail to see that important considerations are missing. Economists have paid too little attention to the ethical basis underlying their policy recommendations. A. B. Atkinson is a Fellow of Nuffield College, of which he was Warden from 1994 to 2005 and is currently Centennial Professor at the London School of Economics. He was knighted on 2001 for services to economics, and is a Chevalier de la Légion d’Honneur.